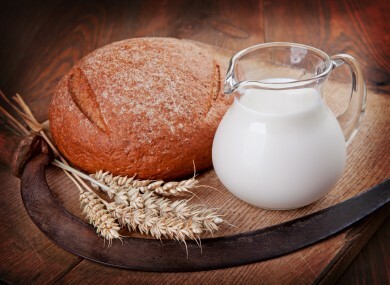 AN OIREACHTAS COMMITTEE has called for the establishment of a statutory code of conduct in the groceries sector and for the selling of staple products, such as milk and bread, at below-cost to be banned. The Committee on Agriculture, Food and the Marine has made a number of recommendations in a report on the grocery goods sector published today. It has examined “increasing equity and transparency” between food producers, processors and retailers. The code of conduct should be established without delay, the report said while also calling for the establishment of an independent ‘supermarket ombudsman’ that would represent the consumer and producer and oversee the application of the code of conduct. The report also calls for greater transparency from large retailers saying there should be legislation introduced to force them to publish their profits and turnovers. The Committee has also backed the government proposal to introduce minimum pricing of alcohol and has recommended that the use of staples, such as milk and bread, as so-called loss leaders to be banned. While the Irish Farmers’ Association has called for the immediate implementation of the report’s recommendations by the government, the response from retailers has not been as warm. Retail Ireland Director Stephen Lynam said today that a statutory code of conduct will make it more difficult for retailers to negotiate the best price for consumers. He added: “The report also calls for price controls on staple goods, which would also push up prices. These measures would not benefit farmers, as retailers usually buy from suppliers, wholesalers and manufacturers. Those are the groups who stand to benefit. Doyle, a Fine Gael TD, said on RTÉ Radio 1 this afternoon that the main thrust of the report is about “improving the relationship along the chain”. He rejected claims that the recommendations, if implemented, would result in higher prices as none of the retail groups who appeared before the committee were able to say how exactly this would happen. Email “Call for below-cost selling of milk and bread to be banned ”. Feedback on “Call for below-cost selling of milk and bread to be banned ”.